LEGO has just published images of over ninety 2016 sets to its server today, in preparation for selling them at shop.LEGO.com. Among them are Classic, Duplo, Architecture, Creator, Seasonal, Disney Princess, Friends, City, Nexo Knights, BIONICLE and Star Wars Buildable Figures. See them all in the database here then come back and discuss them in the comments. Be sure to check out the 700 alternative images, too! The Captain Phasma and Stormtrooper look great, Kylo Ren is Ok but the more Human looking characters look off, I think it's probably due to the head being out of proportion. Other then that, they look great! Big Ben is confirmed then? The new BIONICLEs look amazing, I can see a Hau Nuva in Tahu's new mask, but the golden Mask of Earth looks more like one of those Masks of Elemental Energy from BIONICLE: The Game. Nexo Knights seem like great sets for parts (Macy's mace!). Those olive green 5x6x1 panels with grooves in the Fire City sets look really interesting. Will be great for building containers or industrial sorts of things. The Stormtrooper looks great, can't wait to get a close look at that one. @ bumblepants I thouth that it were 1x2x5 panels, but they look intresting. they seem to apear also in crooks island. and I do really like the fire engine. Seriously? No Speed Champions? Oh well. I've seen all but the Corvette before anyway. Poe Dameron looks pretty good for a human character, the helmet probably helps. Phasma and the Stormtrooper are cool too. City sets are nice, and Nexo Knights look pretty cool... Happy so far with next year's sets! Finn looks a little better than that early image, Poe looks a little worse. The rest look great, especially Phasma. I'm intrigued by the city skylines sets from Architecture. Nice to see multiple buildings from the creator series. I'm not normally a fan of architecture but the skylines look interesting. The Nexo sets look like the sort of stuff a 6 year old builds with the scraps of Lego pieces in the bottom of your spare parts box. Glad to see the return of the tent piece after all these years. And Friends looks like it's trying to incorporate some play features to keep up with Elves (waiiiit....). Nexo Knights is shaping up to be a great theme. I'd like to see more Constraction mechs from it, though. Especially excited to see the USC Hoth set. Does anyone know what "Ghostbusters 75828-1" will be? That stargazing Friends set is great (all hail the science atom!) and the birthday party sets are stinkin' adorable. Rey doesn't look great, Poe looks pretty bad and Finn just looks plain AWFUL! I don't know why they bother with constraction figures of characters without armour - it just doesn't work. Nexo Knights... hmm. My feelings are mixed. On one hand, the concept has potential. However, even the more realistic Castle themes have been plagued by ridiculous color schemes, and Nexo Knights takes it to the next level. I would've liked to have seen an overall gray tone with brown and gold mechanical elements, basically the steampunk theme many predicted. However, I will most likely buy either Ultimate Aaron or Clay for the parts. I think the amount of people looking at the new images is causing the site to run a bit slow, or at least that's what I think. The Bionicle sets and Star Wars buildable figures generally look great! Rey's got a great head sculpt, although I would have preferred it without headgear since that'd be more versatile for use in MOCs that aren't Star Wars related. They're all pretty nice build-wise as well. I'll never understand why so many people find action figures of human characters distasteful. They're never going to be a perfect likeness of the characters, but the same is true for minifigures (omg the real Rey doesn't have holes in the back of her legs! ), and that doesn't appear to bother a lot of people. 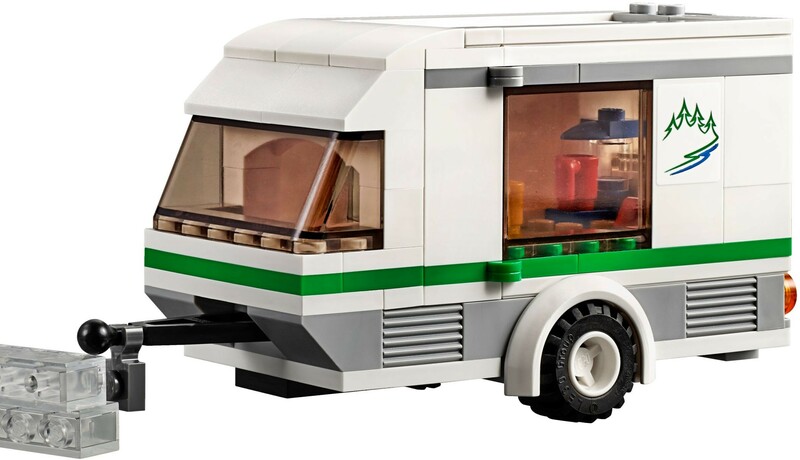 When turning something into a modular building toy some sacrifices are inevitable. Might share thoughts on other themes soon, though these two are the ones that personally interest me the most as a builder out of the sets revealed. Nexo Knights has me very excited as well but I haven't had time to go through all those pics yet! Oh good god, those Nexo Knights sets are amazing. 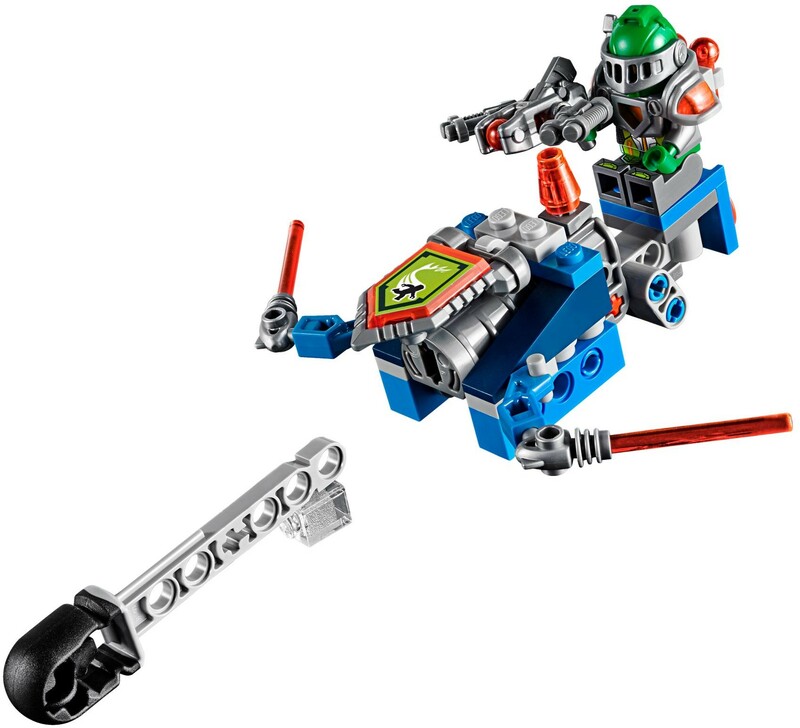 Based on these images, I can't wait for Nexo Knights, BIONICLE, and Star Wars Battle Figures. I can't believe that I am starting to really like those Palace Pets :-/ but they are actually quite cute. Friends looks to be be having one of its strongest waves in a while, I'm delighted to see! Can't wait! Prison Island and Corner Deli look fantastic, definitely putting those sets on my radar. On the other hand, those Nexo Knights sets are looking pretty ugly to me...I understand the need to diversify the Castle theme, but I think Lego chose a pretty poor thematic twist for it. Nexo Knights seems weak for reasons that Ninjago is strong. The change in the new Bionicle sets reminds me a bit of the old Toa Hordika sets, with a bit of a more animalistic/ less smooth and classically-heroic look. I also am stupefied that LEGO found a head shape that looked equally similar to a bird, dolphin, scorpion, wasp, mole, and whatever the ice one is at once. Quite incredible. Overall the sets look great, with a well-appreciated deviation from the smooth and uniform Hero Factory builds that preceded them. Nexo Knights look like a train wreck (like a new take on Time Cruisers!). Perhaps the play features will be so great that you'll forget how ugly they look. Thanks for the images. They have helped confirm that I won't be buying any Nexo Knights aka Car Crash LEGO. Bionicle looks great! I'm a huge fan of the geared functions incorporated in the smaller creature sets. The Friends sets look interesting. Really like the Adventure Camp theme, hopefully those will be as stellar as the Jungle theme a couple years ago. The Cityscapes will be must haves for me. The Valentine's Day doggie is adorable. Finn Windu = Shelf Warmu. Not enough helicopters. Need at least eight more. But I approve of the new pug and dalmatian puppy! And the Palace Pets (I think). Who approved the plans to build 41119 Heartlake Cupcake Cafe over water? See what happens when you don't have 20 police stations in your town. There seems to be a lot of new shooters in the Nexo theme, some that shoot a new piece and others shoot 1x1 round tiles. No pictures of the ferry yet? @sklamb I thought the same thing when I saw the Duplo sets with a whale, elephant and giraffe in two sizes, lion and so on. Heh, the palace pets look like MLP characters. If the palace looked better, it would be a better set... but as is, a bunch of Belville arches do not constitute walls. Same for the Heartlake Supermarket, which looks like a Juniors set. Love the adventure camp treehouse... that looks like fun. City... more rehashes. I do like the new police station, reminds me of the 2005 one. Bionicle... hoo boy. Lewa, Tahu, Onua, and Umarak look great! The rest... meh. Pohatu stands out as even more average than the last version of him. Nexo Knights looks like the next Chima, all right. The Ice Planet-styled mecha and tank thingimajig look like must-owns, and the rest are quite messy. The library seems to have gone to the Mammoth School of Building Bases, what with those walls and all. Architecture is a bit of a mixed bag. Burj Khalifa is great, first remake in the line and it's of the worst set in the whole history of this theme. I can just picture Tom Cruise rappelling down it. Hahaha, unfortunate name for 60106... "Fire Starter Set"
Oh, wow....2016 does not look like a good year at all. The Architecture, City/fire and Friends selections all look good. I'm looking forward to the Lakeside Lodge. The Duplo line is also very charming, although not of interest to me personally. I know that it's been said many times before, but the more that I look at the Nexo Knights, the messier those sets look. More cobbled-together than a tasteful fusion. Batman Classic TV Series Batcave! "Tasteful" and "Nexo Knights" do not belong in the same paragraph, in my opinion. Having said that, I like all the mechanical horses--not just the "robo-mech" horse but also the various smaller versions scattered through the rest of the line. As a theme it's not growing on me yet, though. Yes! Those Nexo knights ultimate sets look like great parts packs! Phasma and Stormtrooper look great! People say the heads look off on human figures, but I really think they look great. I don't know that I like the sharp anime looking angles, but I think in person the last wave human figures are really nice. The others might look better in printing, but in person the human ones are nice. One of my favourite sets from my childhood was #6340 Hook and Ladder, so the new fire truck sure is tempting! I've noticed that every set seems to list China as a country of manufacture, even for small sets in the Creator line, which usually wouldn't list China, because they are made up of existing and non-specialised pieces. It seems as though the new factory is up and running. I for one think the Star Wars Constractions look great and will be buying all of them again this wave! Hope we get Rebels next!! If I were a child, or not already fully collecting Star Wars and Marvel Heroes. . . Dimensions, Disney Princess and Minecraft (my gosh when I type it all out) I would be ALL over those Nexo Knights! Nexo really looks like stuff I built when I was a kid after mixing all my castle and space sets in the 80's. I hope they do well and think Lego knocked it out of the park with that new original theme. @Chilis_no, I'm guessing that 75828 refers to the sets based off the new Ghostbusters film. @PicnicBasketSam, I agree about the library, for a place that's supposed to be full of books, their sure seems to be a shortage of them (only one book if I see correctly). All the constraction figures, bar Finn, look good to me. The architecture skylines look great, as does the new police station, which actually looks different for once. It's also good to see the hot air balloon pieces in black and red, reused from this years Friends set. Eh, I've caved. Im picking up most of the Nexo Knights sets when they hit 25-30% off. Same with the new Ninjago air pirate stuff. Lot of crazy pieces and wild MOC potential! I definitely need to get these Architecture skylines. I think they look fantastic! City has too much fire department for me, but some of the non emergency services sets look great. And as usual there is some interesting stuff in Creator for me. I love Nexoknights. Striking colorsheme, amazing baddies and collectable aspect? SIGN ME IN! I've been looking at some of the alternative images and am now even more excited for the Friends sets. Astronomy, workshop, cupcakes, supermarket, rafting?! All yes please! Love the new printed 1x1 tiles - sushi, jammy dodger(?! ), compass, and tree knot, hoping the 1x2 chocolate bar is printed rather than sticker, can't quite tell for sure (I think printed though). Fox and Dalmatian must be mine. I neeeeeed the moulded teapot (even though I'm a coffee gal myself). Like the Friends-compatible life vest. And I'm really glad to see some nice practical clothing designs for the minidolls. Once again the friends sets steal the show. They just look like fun and they are great parts packs. Anyone notice the awesome capes with the superstar house? The Nexo Knights sets look awesome - the colours are great, great villains, good variety of builds. Merlok's Library didn't look that interesting in the original leaks, but we now see that it connects to the back of the Fortex. Now why does Ultimate Aaron have a stash of bananas? ^^Aanchir - It's called the "Uncanny Valley" effect. The closer something artificial looks to being human the more we feel revulsion towards it. It affects people in different ways. I'm still caught in the middle on the Nexo Knights. On the one hand, I do agree that it's a poor theme (with some very strange, if not outrightly ugly, sets). But on the other hand, the more I see, the more I like. I love the giant monster with the Queen's Capture set, and then, the King's Mecha set (and the two obviously compliment each other)? Yep, sold. I'm also liking the minifigs more and more. And those "ultimate" figures will probably make great parts packs. Finns constraction looks fierce in the alt5 pic! I'm totally falling for this whole line. Anyone know what the gears on their backs do? Head swivel? Staff/Saber swing motion? Phasma looks great, and at $20 too. @SprinkleOtter there were actually two tent sets available as late as this last March/April. A Friends one (picked it up at Legoland, FL on sale) and an Artic one. They came on blister pack cards and were originally around $14.99 USD, similar to the Police, Fire, Chima, etc Minifigure sets. I am glad to see it used again too. I'm looking forward to the two new sets utilizing the Friends' hot air balloon piece; red and black in the Police Prison Island set and orange in the Ninjago Zeplin set. With a total of five colors, I can mix and match to make a balloon diorama for my city. I think the Palace Pets will blend in nicely with the Elves (if you're not one collecting the Disney Princesses). Also I didn't notice a listing for any of the forthcoming DC "Girls" sets (with Batgirl, Harlequin, Wonder Woman, etc). I guess they are too far down the road...or they aren't releasing details this soon. I am a little curious how much the nexo knight "ultimate" figures are going to be. It would be a great starter pack. I'm in love with Tire Escape. It's such an absurd thing I can't wait to get one. What other toy can have a dude with a ridiculous mustache floating around in a tire? is that the old brickset logo on top of the website now? The Architecture skylines are a big step forward for that product line. I can't wait to get those. Looks like we have animals again for the seasonal sets, based on the dog with the heart and the proposed chick. Cute, but they just did that in 2014, and I thought this year's seasonal vignettes were a huge step up from the animals. Classic Batcave- brilliant. Must include the Batmobile, right? Next Ideas set is the ball maze then. Has that been announced yet? CMS15 has 16 figs as usual - I'd heard a rumour it was going to have more. None of these are must haves for me really. But I don't really collect any of these themes. The Phasma, Stormtrooper, and Poe Dameron are probably the best looking ultrabuilds. I might pick those up if they go on sale. I'll probably pick up the creator lodge, which looks to be a fun build. Otherwise not much I'm waiting for images for more sets to be released. Those skylines do look really good. I guess Lego is trying to make up for just how awful and overpriced the earliest Architecture sets were. Loving the statue of liberty. Well, this next year is going to be incredible for Constraction fans. The Star Wars figures hold a lot of detail, coming with new pieces and incredible details. I especially love the capes, though it doesn't seem that Ren has a hood. But best is the BIONICLE line. While with 2015's sets I could easily pick out which ones I liked and which ones I didn't, 2016's is not going to be that easy for us. I literally spent five minutes in January 2015 to decide to get Kopaka, but it took me forty five minutes just to end up with Tahu or Lewa. I'm not saying the other Toa aren't cool, it was a really tough decision. I would've chosen Kopaka, but I don't want to buy the same Toa, even if it is a different design. Then the Nexo Knights... wow! While I don't plan on buying any of these, they will surely be a favorite for the younger generation. I don't think Ninjago, even with its sky pirates, is going to be able to keep up. I'm not sure about NexoKnights: some good new parts (shields, weapons, lava stuff...) , great villians, the knights are ok, but not "wow". I will get the Ultimate Knights. The best set is the evil 70335 Ultimate Lavaria- a really bad girl! Star Wars Figures: Captain Phasma and Stormtrooper are brilliant, Kylo Ren is o.k. The new architecture sets of Venice, Berlin and New York are amazing. Good idea,lego! Nexo knights look awesome. Creator sets look really good too. As the LEGO Architecure obsessed author of the new book, The LEGO Architect, I was really excited to dig in to the new photos to see what we have in store. From what I've seen so far, i think the "skylines" series will be very popular and allow a nice set at a lower price point. Maybe a stupid question, but where do I find the "700 alternative images"..? I'm intrigued by 'Airjitzu temple grounds' and am really hoping this will be an extension of the temple with landscaping or another building. I like the look of the friends sets, and I know my daughters will. The Disney Princess ones look scrappy to me - apart from the animals they seem a bit random. Looking forward to seeing pics of the elves sets. Have you guys noticed a presence of trans white bricks on some of the alternative pictures? Is it a mistake during picture postprocessing? Shame they've got the ladder pivot at the wrong end of the trailer in this new set. Loving the Architecture Skyline sets. Depending on price (I normally find Architecture sets overpriced) might pick up those. ^^^I think those are just there as supports to have decent-looking action shots. With the exception of the Brick Bank and some of the creator sets, looks like next year would be a good year to grab some of the older, discontinued sets for me. Someone else noticed the NEW part in the Prison Island set? In the 'pipeline' where prisoners can escape, there's like a 'reversed' arch... NEW PIECE???? ?